Cameras Downunder Gallery - Leica Cameras & Leica Copies/Canon S-II. camera. Japan. Canon S-II. 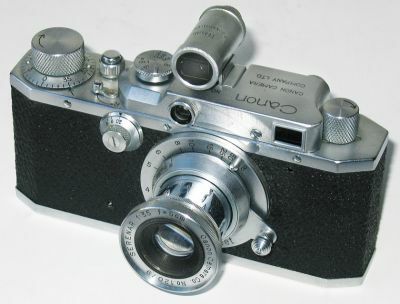 C.R.F.Camera, for 35mm, die-cast body, no finder magnification adjustments, made by Canon Co. Japan ca.1947.